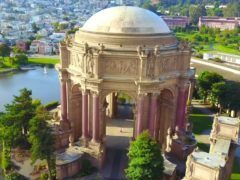 A singer hopes to attract more people to opera music by pairing her voice with drone footage of stunning landmarks. Passengers have been rescued from an Uber car after it got stuck in a large sinkhole on a street in San Francisco in California. 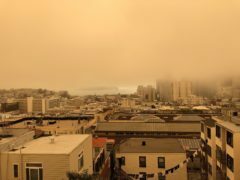 A Chihuahua is in animal custody after leading police on a chase across a major San Francisco bridge. A trial of pee-repellent paint which soaks anyone who tries to urinate on it was officially launched in Aberdeen.